A LESSON IN VERSATILITY. ® ® ® No other line of electric vehicles offers the versatility and reliability of GEM. 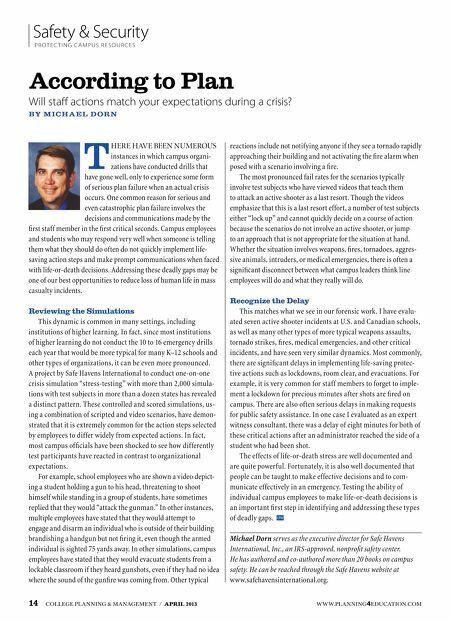 Backed by 60 years of Polaris quality, GEM can be just as essential to your operation as the students and faculty. Whether you're moving people or cargo, GEM * tackles any job you throw at it — like tours, groundskeeping and security. Plus, it's street legal, delivers exceptional comfort and quiet operation, and costs pennies a day to operate. Ready to move. That's GEM. ® ® Visit GEMcar.com to see the entire line, find a dealer near you and schedule a demo. 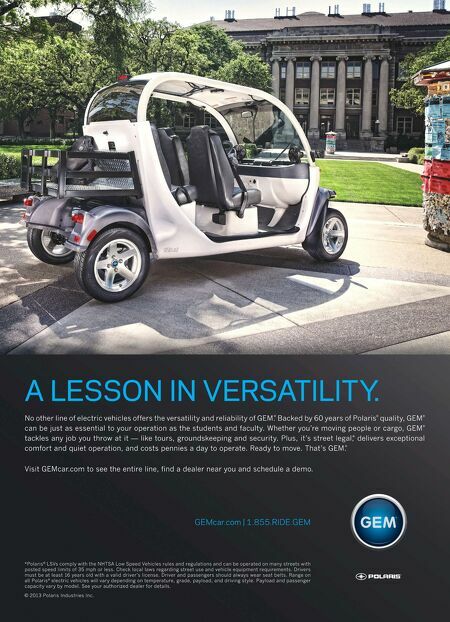 GEMcar.com | 1.855.RIDE.GEM *Polaris ® LSVs comply with the NHTSA Low Speed Vehicles rules and regulations and can be operated on many streets with posted speed limits of 35 mph or less. Check local laws regarding street use and vehicle equipment requirements. Drivers must be at least 16 years old with a valid driver's license. Driver and passengers should always wear seat belts. Range on all Polaris ® electric vehicles will vary depending on temperature, grade, payload, and driving style. Payload and passenger capacity vary by model. See your authorized dealer for details. © 2013 Polaris Industries Inc.